Since that first desire to help, the teens raised over $15,000.00 dollars. 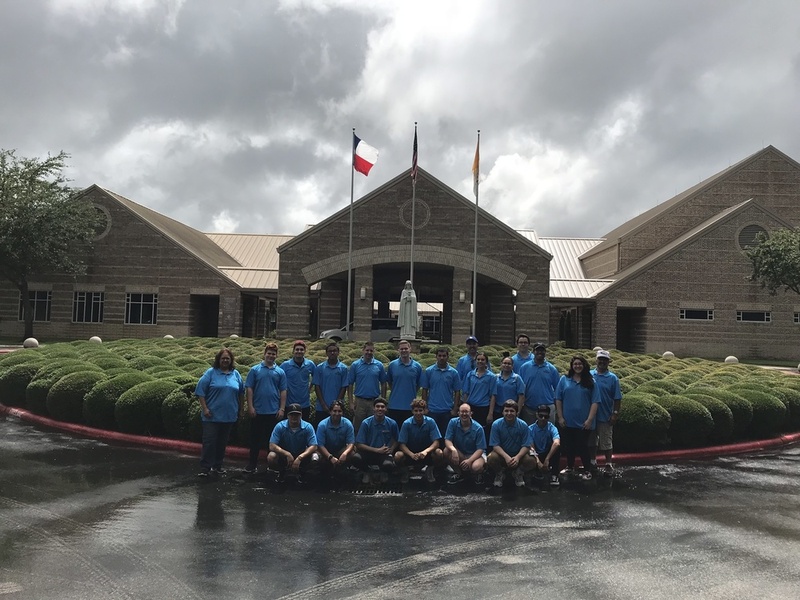 Our parish partnered with St. Claire&apos;s of Houston to bring a total of 85 people to bear on three homes and one Catholic school. From June 18-25th, we worked, laughed, prayed and sweated. We learned how to use new tools and we learned to love, not just in word, but in deed. We put into practice our scripture for the week, Colossians 3:17, "And whatever you do, in word or in deed, do everything in the name of the Lord Jesus, giving thanks to God the Father through him."